Borne of a joint collaboration with WWF, Google, Netflix, PHORIA and ArtScience Museum, REWILD Our Planet pays homage to the beautiful Earth where we call home while highlighting the importance of environmental conservation to ensure the survival of mother nature. 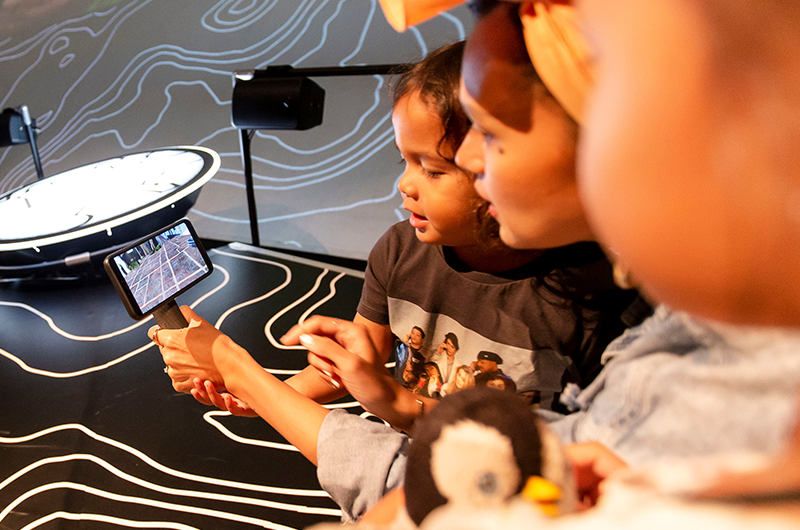 From 6 April to 2 June 2019, you and your family can visit the ArtScience Museum to explore four different natural landscapes brought to life in Singapore’s first Social Augmented Reality (AR) experience. Developed with footage from Netflix’s brand-new original documentary series, Our Planet, and narrated by world-renowned naturalist, Sir David Attenborough, this sensorial experience will connect you to nature through immersive storytelling that combines cutting-edge AR technology with stunning 4K video footage in a spectacular IMAX-style projection that is accompanied by spatial soundscapes. Armed with a Google Pixel 3, you’ll have to work together with other participants to rebuild the natural landscapes that have been adversely affected by the actions of mankind. You will also be able to unlock global weather patterns, magical animal encounters and sustainable solutions which will help enable you and your family to have a deeper understanding on how you can do your part to conserve the environment. Visit ArtScience Museum for more information. If you’re looking to catch the amazing featured documentary series, Our Planet is available to stream on Netflix now.